Visit Cambridge City Hall to check out the site-specific installation created by Studio HHH for Cambridge Science Festival. Giant pinwheels harness the energy of the wind to illuminate at night. 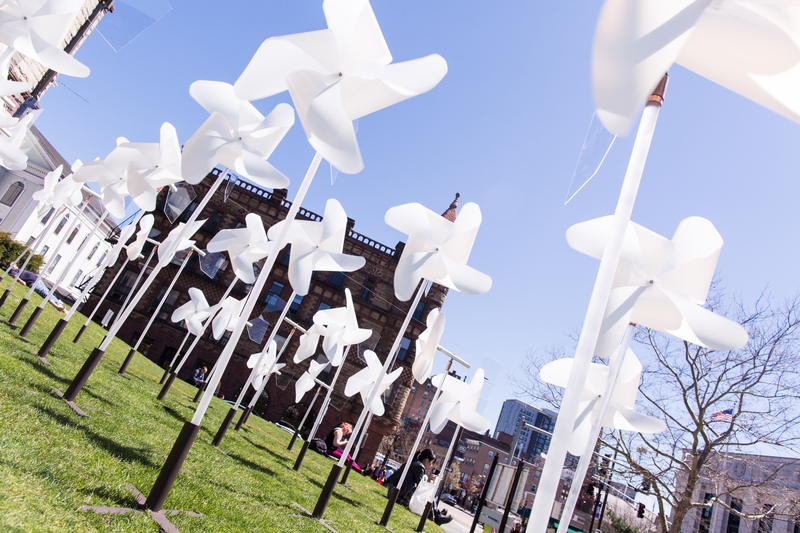 This artwork will showcase the beauty of wind and the power of wind to generate energy. The intent of this installation is to bring attention to the growing urgency to harness wind as a power supply, while presenting a visual metaphor that describes wind energy as accessibility to all people. Designed, built, and installed by Studio HHH for Cambridge Science Festival.